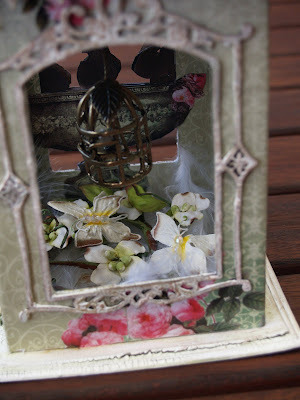 A Fabricated Journey: A little birdy tweet! Hi there! 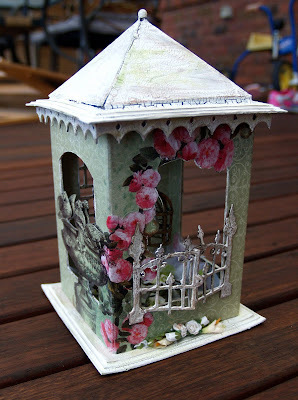 Today I'm going to catch up on my blog......I made this bird house some many months ago for Scrapbook Creations - Scrapware Chipboard challenge Issue 89. 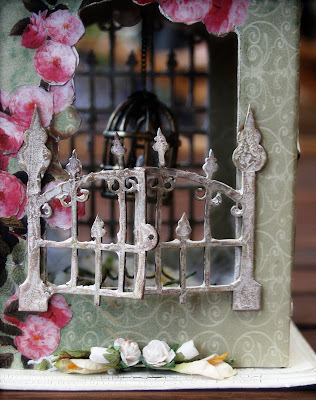 I have played with my favourite Tim Holtz crackle paint yet again and I love this paper range -Designs Galore- very Vintage, extremely shabby and so very 'me'! Off to scrap now. BYE! 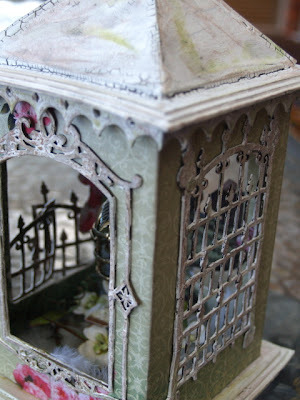 Gorgeous, gorgeous project - so beautiful! I love your birdie Tweet. Can I ask where you got your little bird cage charm from? You had one on your birdie book as well.